Before we get started, let me put any rumors to rest… I'm not currently pregnant as far as I'm aware. But, babies are blessings and sometimes they come as surprises like our last two babies did. It always pays to be prepared. The point of this post is that if and/or when there is a Pelser Baby #4, we are going to save a TON of money on pre-natal care, labor, delivery, and postnatal care over what we had to pay for the first three babies. I wrote this post about how we reduced our monthly premium. By switching from traditional health insurance to Christian Healthcare Ministries, we're saving $7,000 a year. That was a big relief to our monthly budget! Using CHM is the foundation of our financial plan for the medical costs of having children in the future. 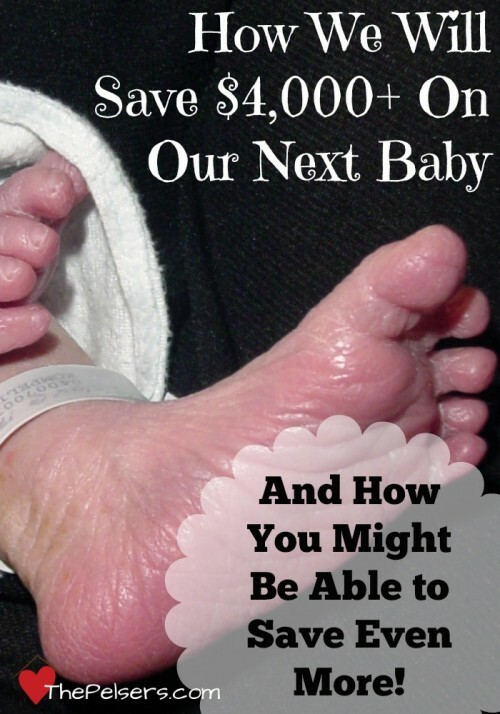 Do you know how what the average cost of having a baby is? 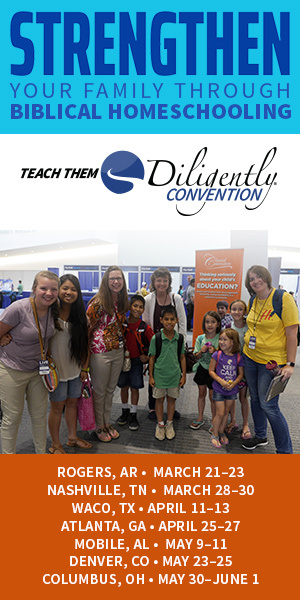 Read the full article at Parents.com. In 2007, Jonathan was born. We were covered on a 100% in-network PPO plan through my employer. We paid an initial co-pay at the OB's office for routine pre-natal care and ultrasounds which also included my 6-week postpartum visit. The copay was so low, I don't remember what it was. I'm guessing $10-20. Labor and delivery, hospital stay, newborn care was covered 100% after a $250 deductible. Jonathan was our least expensive baby of the three. Then in 2010, Jacob was born. At that time, we were insured through Josh's employer. It was an 80/20 PPO plan with a $2,000 deductible. We had to pay the estimated 20% of the same care at the same OB's office by the 8th month of my pregnancy. Then the hospital billed us 20% of their bill for the same routine care, up to our deductible. In the end, we paid $2,000 for Jacob – part to the OB and part to the hospital. Fast forward to 2013 and our expensive baby Josiah. The plan at that time was through Josh's employer and was a high deductible plan. Before the insurance paid a dime, we had to pay out $4,000 in one plan year. My pregnancy with Josiah was split between two coverage years. Thankfully, the amount of time in year one was not much or we could have been forced to pay much more out of pocket. Every lab draw and every ultrasound had a bill attached to it. We paid at least $300 out of pocket in the first plan year. The rest of the charges where in the second plan year. We had to pay every bill out of pocket as they came until we reach $4,000 out of pocket. Again, this was the same OB, same hospital, same routine care. 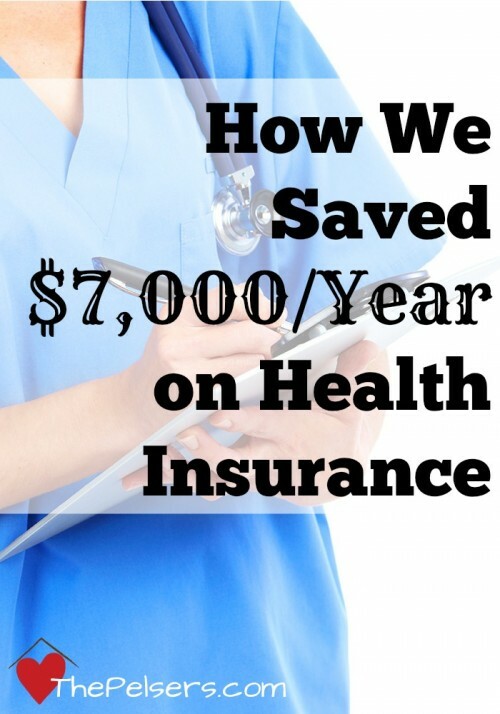 As is common with high deductible plans, we had an HSA with a small contribution from Josh's employer that helped, but we still had to pay $4,000 in the second coverage year. The full amount for Josiah? Approximately $4,300. Josiah was a known, upcoming expense. We worked really hard that year to save the money that we needed to pay for him in cash. Read how we did that here. What Will Baby #4 Cost? At the Bronze level, only your hospital delivery is covered based on the Bronze level personal responsibility which is currently $5,000. You'd be responsible for all OB, lab, ultrasound, and other non-hospital bills. Discounts on your bill are applied towards the $5,000 hospital costs. At the Silver level, your hospital delivery and mid-wife up to $2500 are covered. The Silver level personal responsibility is currently $1,000. You'd be responsible for your OB, lab, ultrasound, and other non-hospital bills and the first $1,000 minus any discounts applied to your bill for delivery and mid-wife. At the Gold level, maternity is treated like any other incident. Pre-natal, hospital delivery, mid-wife, and post-natal care are all covered. You'd be responsible for paying $500 minus any discounts applied to your bills. CHM will walk you through every step of the process. They will help you request estimates and negotiate discounts. Starting early on the financial planning helps CHM reduce costs, share your bills, and pay bills by the time your baby is born. The bottom line for us? Our next baby will cost us a maximum of $500 out of pocket, and likely closer to $0 depending the discounts we're able to negotiate with providers. That's a savings of $4,000 over our last baby. If your deductible and copays are higher, you don't currently have insurance, or experience complications in pregnancy and delivery, your savings could be much higher. If you and your family are relatively healthy and do not have major pre-existing conditions, Christian Healthcare Ministries might be a good fit for you too. Go over to the CHM website and read through the options, maternity coverage, and request an information packet. Note: Your estimated due date must be at least 300 days after your start date with CHM or your pregnancy is covered as a pre-existing condition. If you're thinking about switching to CHM, do it well before you get pregnant! Have you used CHM or another sharing ministry during your pregnancy? Share your experience with us in the comments. Wow, Australia is so different, we were in the public system and I was on a program that I had my own midwife at the hospital plus a doctor and then after a 13hr labour and failed water birth attempt and an emergency ceasar and 3 day hospital stay I didn’t pay a cent nor did I have medical insurance, I would guess that 50% of Australians don’t.